It is difficult to coax a Brutus from a receding hairline, but he has a lovely mouth. 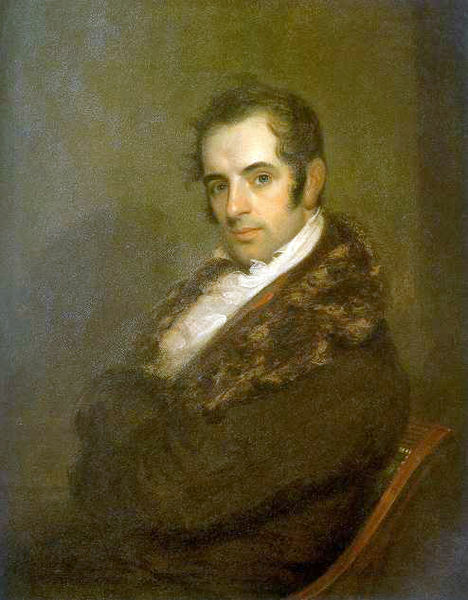 Irving had initially sailed to England to bail out his family’s business in the aftermath of the War of 1812. The conflict had been ruinous for American merchants and despite their son’s best efforts, the Irving clan’s cross-Atlantic enterprise was forced to declare bankruptcy. Over his family’s protests, Irving remained in England to pursue a writing career. His Sketch Book became a great success and soon Irving was fast friends with the Scottish bard, Sir Walter Scott, as well as the Irish one. Sketch Book was really a series of installments first published in American and then in London. The short stories it contained, like Rip Van Winkle and Legend of Sleepy Hollow, gained Irving admission into the highest circles of the ton and into the best houses of London, particularly Lansdowne. Like many authors of new-found success, Irving was almost immediately a victim of literary piracy. His publication in America was hastily copied and distributed in England without any compensation to him, there being no international copyright law at the time. Eventually he acquired a more reputable (!) publisher and from then on his works were released concurrently on both sides of the Atlantic, to protect his copyright. Irving was also victim to that other scourge of authors–writer’s block. He went to the Continent in search of new material, spending some time in Germany where he was well-received by the royal family. There he made a frustrated attempt to woo a fellow American, Emily Foster, then living with her mother in Dresden. Disappointed when she rejected him, he left for Spain to seek inspiration for new writings on the history of Christopher Columbus and that frontier of medieval conquest–Grenada. He made popular the new genre of historical fiction, called romantic history at the time. Eventually, after an absence of seventeen years, Irving returned to America to continue his writings. This was briefly interrupted with a stint as U. S. Minister to Spain, a difficult position since he had to deal with warring factions vying for control over the twelve-year-old Queen Isabella II. 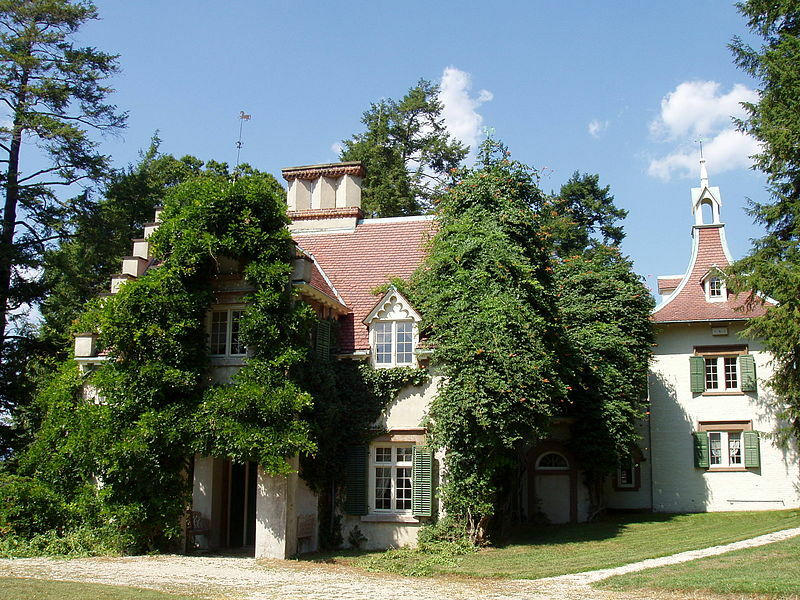 He died at Sunnyside, his beloved cottage in Tarrytown, NY. Sunnyside Cottage--a long way from Lansdowne House, but just as charming. It is no surprise that Lansdowne House should desire to have the First American Man of Letters, the first to earn his living by the pen in that new nation, to be one of its brightest luminaries. This entry was posted in Regency, Uncategorized and tagged Lansdowne House, Legend of Sleepy Hollow, Lord Lansdowne, Queen Isabella II, Rip Van Winkle, Tom Moore, Walter Scott, War of 1812, Washington Irving by Angelyn. Bookmark the permalink. I love Irving. Some of my favorites as a child were Rip Van Winkle and Legend Of Sleepy Hollow. Sorry to hear they had issues with literary piracy even then. Thank you for the post. I didn’t know he’s spent time in Spain. You’re a wealth of knowledge. Thank you, Sandy. Irving and Fennimore Cooper were my favorite authors back in the day as well. What an insightful look in this period of history. Many thanks for the comment from an American history connoisseur! Love it! Maybe his “Brutus” was today’s “comb over”……..think “the Donald”! That is a hoot! Thanks for visiting! I’m sure he would be glad to know his stories are still popular today. I love the term romantic history. It’s so much more poetic than historical romance. Maybe I want to call myself a romantic history author. Hmm. Romantic history does have a ring to it, Ally. And coined right when the Age of Romanticism begins. Thanks for your comment.